Living in a mobile dwelling affords Kelly and me a number of advantages. Chiefly, opting to live small allows us to maintain a fairly simple day-to-day lifestyle and at our leisure, hitch-up and hit the road … our address literally anywhere we desire. Never did we feel such freedom when our home was firmly affixed to a proper earthen foundation. Consequently, traveling felt temporary – always knowing that sooner or later we had to return home. Interestingly, when we are on the road now, things somehow feel different. I think now we enjoy the best of both worlds really … on the one hand, we maintain a comforting familiarity of our ‘stuff’, but with the ability to situate ourselves against the backdrop of a changing landscape. It really is quite the compromise. Because we travel with almost everything we own, there is some level of “what if” anxiety when towing. Kelly and I routinely discuss what if something bad should happen en route? Surely we’d be screwed … all of our possessions littered along some roadside ditch is not a situation either of us wish to experience. And so it was that today I laid witness to a roadside accident on my way home from work – a scene not too dissimilar to that of my worst case what if fears. What I saw was a pair park homes situated on the shoulder of the road – one rolled over to its side and totally destroyed. This particular road I was traveling (State Route Hwy 92) is familiar to me. I use twice daily as part of my daily commute and it contains a number of switchbacks as the roads travels up and over the San Francisco bay area peninsula ridge line. Situated between the ocean and the bay, the ridge is often encased in thick fog, severely limiting views for all drivers on the road. I cannot help but wonder what caused this accident — fog, driver complacency, deer scampering across the road – could be anything I suppose. I doubt I’ll ever know what happened, but looking at someone’s home splattered across the road is a stark reminder that accidents can happen at anytime and I don’t want to see Mabel – my Airstream home on wheels facing a similar fate as this trailer. Reality bites! Don’t think it will occur, but I would check my vehicular insurance (both auto and airstream) to see what provisions cover something like this. If uncertain, I would call insurance agent and visit. Has to be some kind of coverage available until the vehicles can be replaced. Hey Dave, do you have full-time RV insurance? 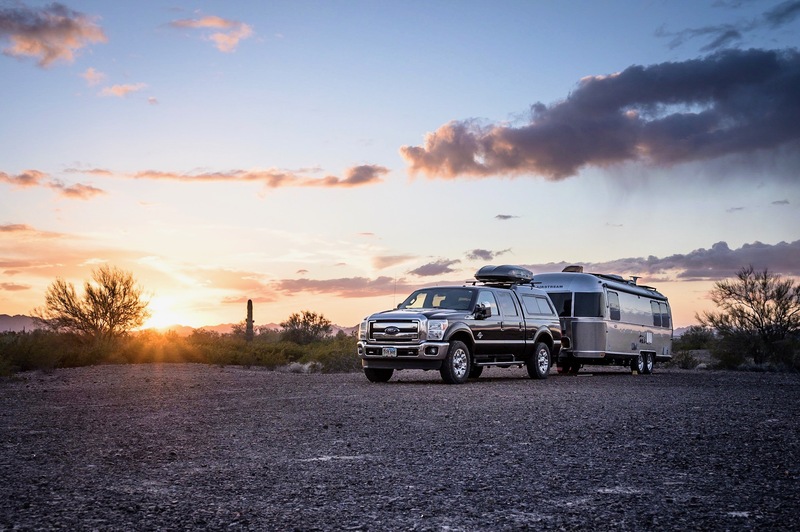 You can declare a value for the contents inside your Airstream as well as the Airstream itself. Not all insurance companies offer it. We’re with Progressive. Leigh – We’re also with Progressive and currently claiming internal contents. We had Allstate for years, but they were not easy to work with given our switch to the Airstream lifestyle so we dumped them. That’s good. Then no need to worry, if disaster strikes you get all new stuff!